(VEN) - The government has asked relevant organizations to continue the sales of holdings in state-owned companies in different fields according to the 2016-2020 plan. According to the Ministry of Finance, in the first quarter of 2017, approval has been given for seven state-owned enterprises worth almost VND1.86 trillion, including VND379 billion in state capital, to be transformed into joint stock companies. During the same period, the state sold its holdings, which were initially worth more than VND3.07 trillion, to earn almost VND14.24 trillion. Economists said that positive changes on the securities market in the first months of the year facilitate the equitization of state-owned enterprises. A recent first quarter report, and forecast for 2017 by the National Financial Supervisory Commission, shows that the increased and favorable securities market in late March, which was equal to 50.9 percent of the country’s gross domestic product (GDP) in value, offered good opportunities for companies to mobilize capital through share issuance and for the state to sell its holdings in state-owned enterprises. The State Capital Investment Corporation (SCIC) was established in 2005 as part of a range of reforms aimed at enhancing the efficiency of state capital utilization and reducingstate investment in domestic companies. It has become the representative of state ownership in state-owned enterprises. But the transfer of state capital ownership to SCIC remains tardy. Since 2011, SCIC has taken over the state ownership in only 94 enterprises, with state capital of VND2.7 billion. 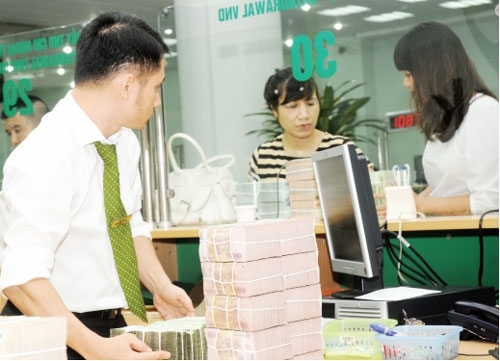 Recently, through Instruction 14/CT-TTg on implementation of 2017 financial and state budget tasks, Prime Minister Nguyen Xuan Phuc asked relevant organizations to promote state-owned enterprise restructuring and equitization, including sales of state holdings, in accordance with approved plans. According to Instruction 14/CT-TTg, state-owned enterprise equitization is implemented in compliance with the Law on management and use of state capital for production and trading activities of enterprises, and the National Assembly’s resolutions on the 2016-2020 plan, the 2016-2020 public investment plan and the 2017 state budget estimates.